When used in the context of an aLttP Randomizer seed, usually refers specifically to the item located on the right hand side of the Dark World Pyramid. The Pyramid is the Dark World equivalent of Light World’s Hyrule Castle, so commentators may be referring directly to this landmark when citing the Pyramid, but usually it’s specifically the item that’s being referenced. 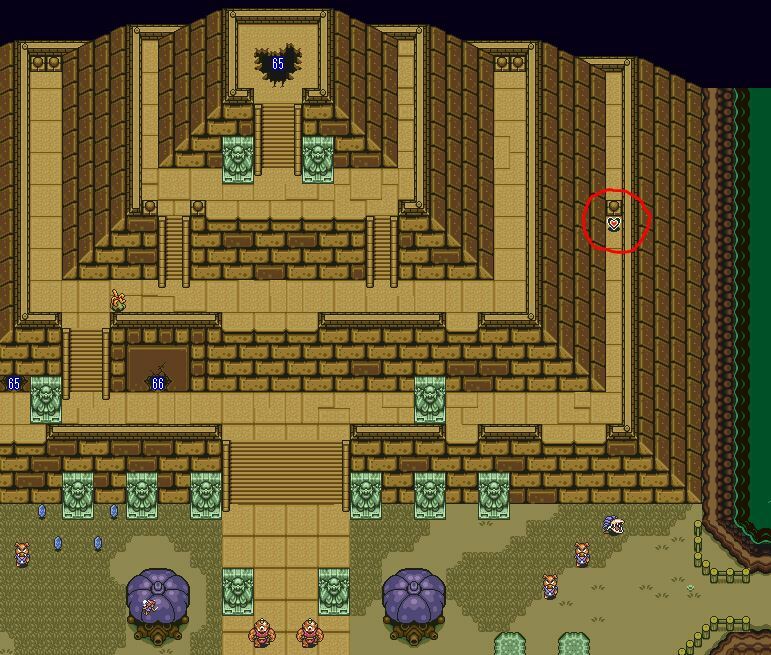 in Vanilla aLttP, it’s a Heart Container. This item can be collected with no items, even as Bunny Link – only Dark World access to the Pyramid area is needed. Therefore, in very uncommon circumstances, the Moon Pearl could even be located here.